With just three weeks until voters decide a surprisingly pivotal U.S. Senate race in the state of Texas, Republican Sen. Ted Cruz and Democratic Congressman Beto O’Rourke faced off in an at-times-testy debate in San Antonio Tuesday evening, as both men sought to paint their opponent as the wrong choice to represent the nation’s third-largest state. Cruz consistently sought to portray O’Rourke as an “extremist” on issues ranging from health care to abortion to illegal immigration, saying the El Paso Democrat is running a campaign that appeals to “left-wing national activists,” and not the state of Texas. O’Rourke, whose energetic bid to unseat Cruz has garnered a crush of national media attention and historic fundraising numbers, pushed back against Cruz more aggressively than at any other point in the campaign, even reprising the nickname bestowed on the GOP candidate by Trump during the 2016 presidential campaign. U.S. Sen. Ted Cruz, R-Texas, takes part in a debate for the Texas U.S. Senate with U.S. Rep. Beto O’Rourke, D-Texas, Tuesday, Oct. 16, 2018, in San Antonio. Cruz, who recent polls show is maintaining a high single-digits lead in the race against O’Rourke, shot back at his Democratic challenger. “Well it’s clear Congressman O’Rourke’s pollsters have told him to come out on the attack, so if he wants to insult me and call me a liar, that’s fine,” Cruz snapped. 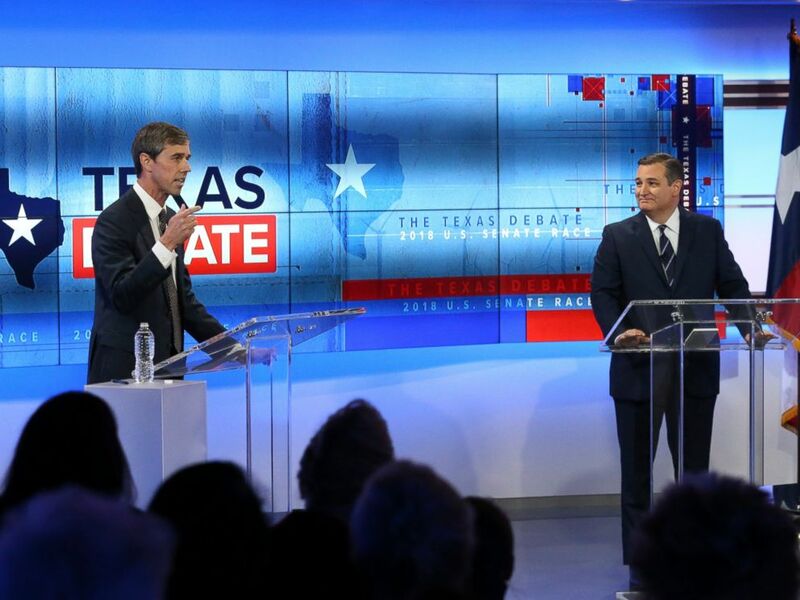 O’Rourke also reprised his attack on Cruz for focusing on his presidential ambitions so soon after he was elected to the U.S. Senate, and criticized the tone of his Republican opponent’s campaign. 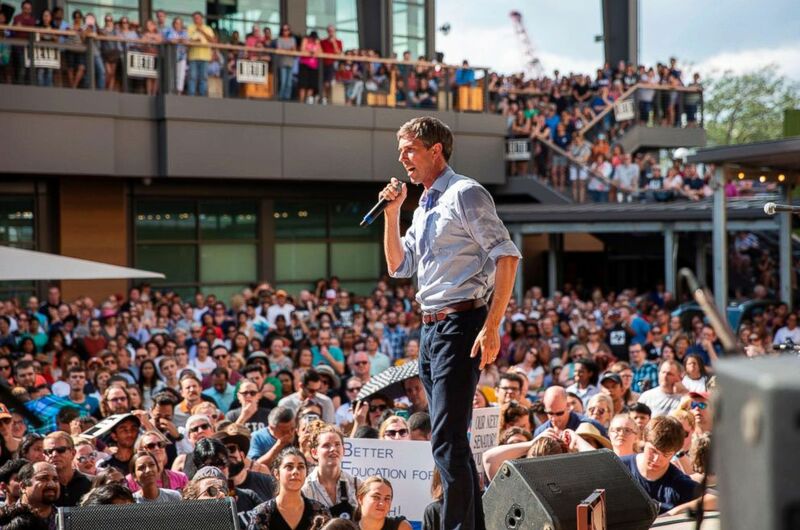 Beto O’Rourke speaks during a campaign rally in Plano, Texas, on Sept. 15, 2018. O’Rourke said there needed to be a greater focus on screening methods for people entering the country, and hit Cruz for his vote against a permanent solution for Dreamers, recipients of the Deferred Action for Childhood Arrivals program. The two also sparred over the issue of judicial appointments, and Cruz said he was “proud” to help confirm both of Trump’s nominees to the Supreme Court — Neil Gorsuch and Brett Kavanaugh. The conservative firebrand who has made a career out of rankling member of both parties, bemoaned a lack of civility in today’s politics, something he again blamed on the “anger” and “rage” from a far-left “mob,” evoking rhetoric that has been used by the president recently on the campaign trail. In his attempts to paint O’Rourke as a figurehead of the liberal “resistance” movement, Cruz said the Democrat would not be able to work with Trump as a member of the Senate and would instead incite a “partisan circus,” by supporting impeachment proceedings against him. U.S. Rep. Beto O’Rourke, D-Texas, left, and U.S. Sen. Ted Cruz, R-Texas, right, take part in a debate for the Texas U.S. Senate, Tuesday, Oct. 16, 2018, in San Antonio. At the conclusion of the debate, O’Rourke offered a closing statement in the same vein of the soaring rhetoric that has earned him comparisons to former President Barack Obama and the late Robert Kennedy, comparisons his Republican detractors say are overblown. Cruz closed by again highlighting his policy differences with O’Rourke on immigration, health care and a host of issues, saying he is also offering a positive vision for the state of Texas. “Elections are about who we are. Do we choose fear, or do we choose hope? I believe in hope,” Cruz said.